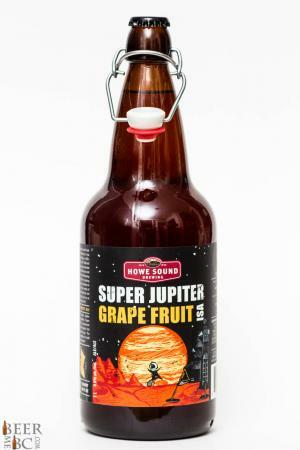 The Super Jupiter has been a summer seasonal offering from Howe Sound Brewing for a number of years. When it was first released though it was an India Pale Ale with big hops to go with the grapefruit citrus tones. The beer has changed over the year and it is now classified as an India Session Ale. 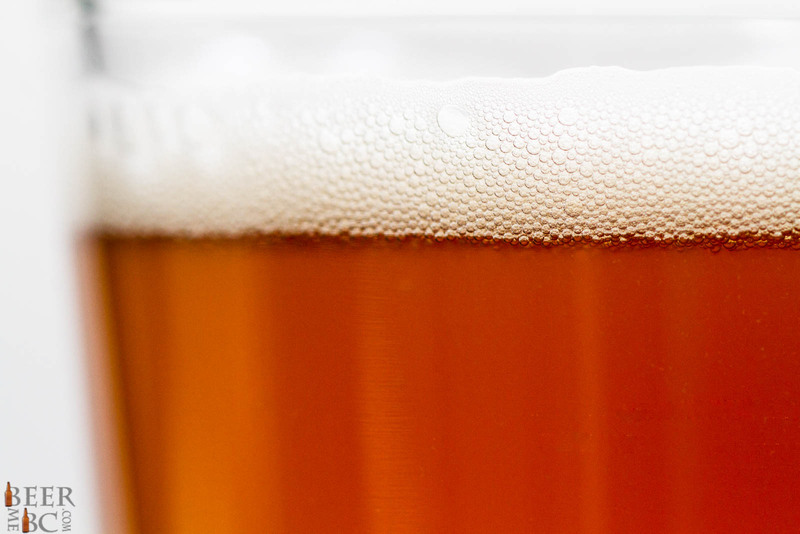 Still designed to have a bit of a hop kick the beer now also takes a more sessionable approach to make for an even more refreshing summer offering. 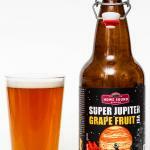 From the 1 litre bottle the Super Jupiter pours with an orange hue and a thin finger of head that settles rather quickly. The aroma is fairly big with hops for an ISA with citrus tones joining a fairly piney scent. With that comes a base of light malt tones that add balance. The grapefruilt notes are rather subdued but add a slight sweet and sour flavour into the mix. Tasting the beer the Super Jupiter has a fairly big body for an ISA and has a fairly serious hop bitterness to it. 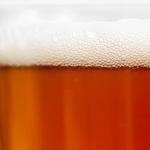 The grapefruit content adds a slight sweetness to the beer and a sour tone that balances the hop bitterness. 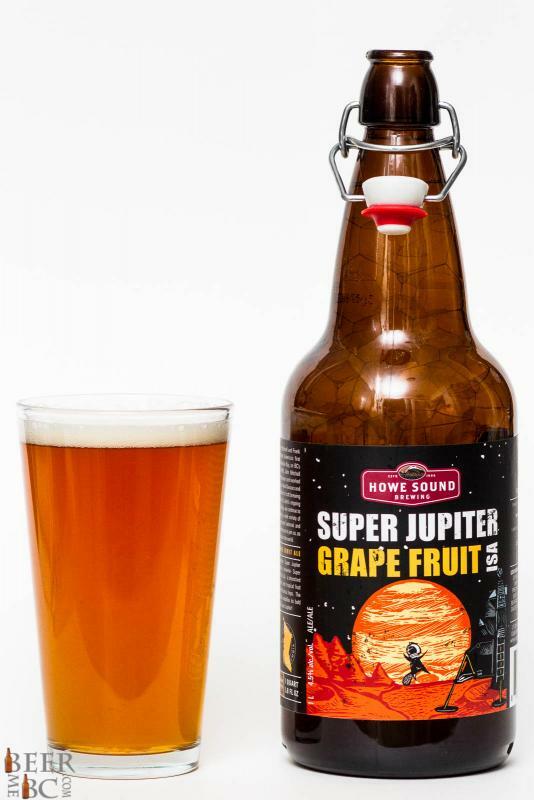 Just the right amount of grapefruit makes for a beer that is infused and the flavour can be pulled out but not so much that it takes over the beer. 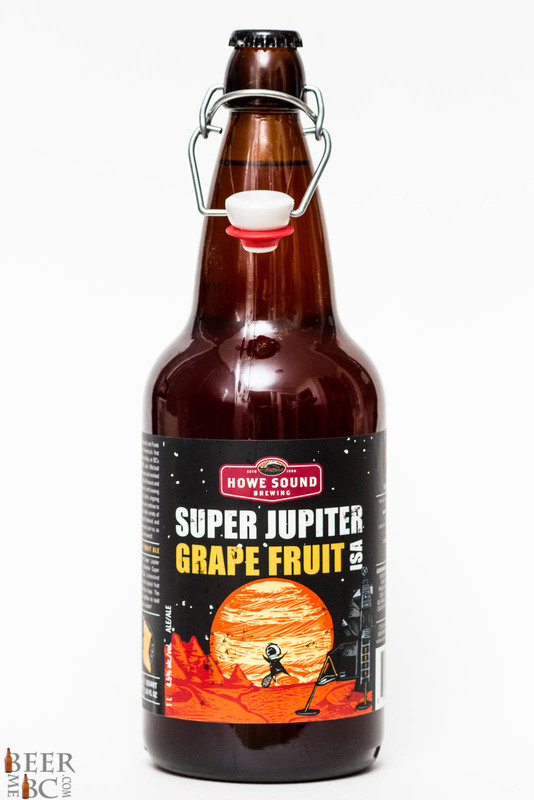 The Super Jupiter is beer first and grapefruit second, but they still work together to complete the package.